There has been an intervention in my house. 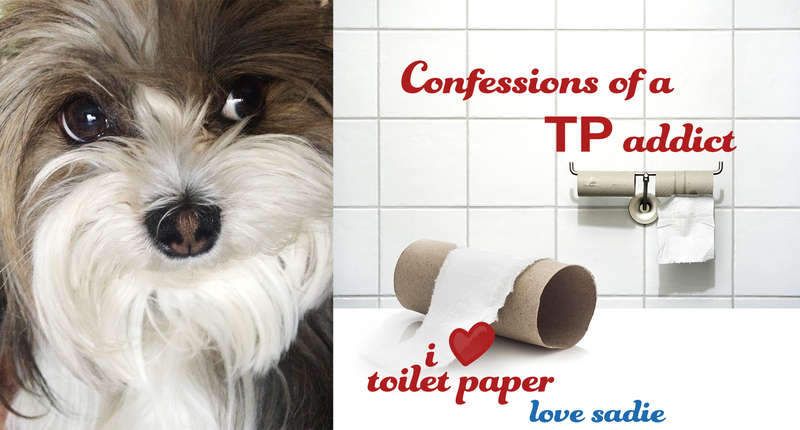 The TP Intervention! Every day I dutifully follow my two legged people into the room that has the special stash. Sometimes the roll is too big for my petite mouth but I still wait with anticipation for the sound of the end of the roll. I need it, I want it, I must devour it. I steel it when the roll is ready! … this is how I know it is the premo TP. Alas they have cut me off. No more end of the roll fun, well at least not when they are looking! Was that a dream or can dogs really fly! Sadie is a curious dog and often sits at the window to watch the birds outside singing and then flying off. She vocalizes when they fly off running from one window to the next. Cute I thought, her little bird friends. Then I noticed her sleeping one day. Out came a vocalization and her little feet started to run in the air. She seemed quite peaceful and even had a smile on her furry little face. Perhaps that was a dream. A dream that she could fly with her friends! Outside, high above the other dogs who do not have these super sadie powers. 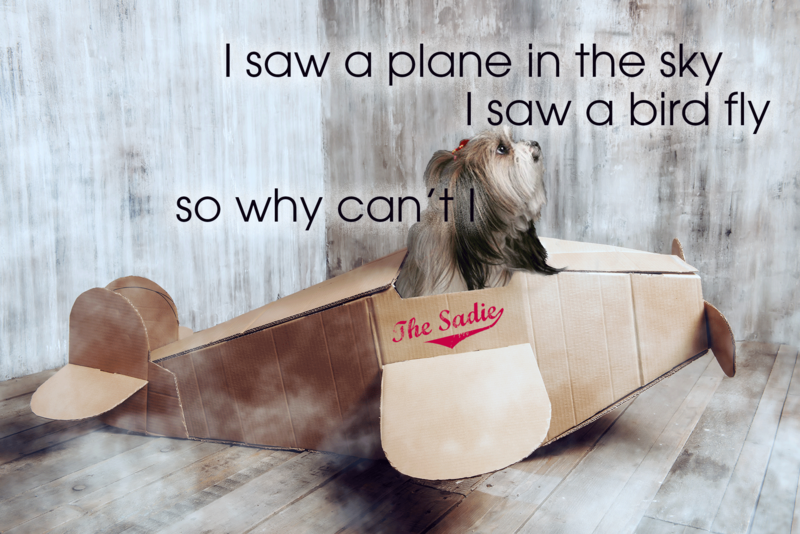 from Sadie… of course I can fly, I am just keeping it my own little secret travel plan, I go to exotic places every time I sleep, don’t you?